With the iPhone launch out of the way, Google is now starting to spin up the marketing machine for its next flagship phone. Google has launched a teaser site and a video asking dissatisfied smartphone users to "stay tuned for more on October 4." What Google wants users to "stay tuned" for is the Pixel 2, the sequel to the Google Pixel. When we last checked in with Google's 2017 flagship, we were working off a tweet from VentureBeat's Evan Blass claiming that the phone would launch October 5th and come with a new "Snapdragon 836" SoC. Later reports from both Android Police and XDA Developers disputed this, saying Qualcomm wasn't working on mid-cycle "836" refresh this year. The Pixel 2 is now expected to have the same Snapdragon 835 SoC as every other high-end Android phone. Everything else we've heard about the phone still holds up. There will be two devices, called something like the "Pixel 2" and "Pixel 2 XL." They're not going to be "small" and "big" versions of the same phone this year, though. Google is actually splitting the manufacturing duties across two different Android OEMs, with LG handling the big phone and HTC doing the small one. As a result, the LG Pixel 2 XL looks like a modern phone with slim bezels, while the HTC Pixel 2 looks a lot like last year's phone. Both phones are expected to continue with metal backs that transition to a glass window near the top of the phone, but the glass window will be smaller on the new phones. They're also expected to borrow the "squeezable" side button from the HTC U 11, which will probably be used to launch the Google Assistant. Google is resisting the industry trend of dual rear cameras, but it's not resisting the inexplicable industry conspiracy to kill the headphone jack. 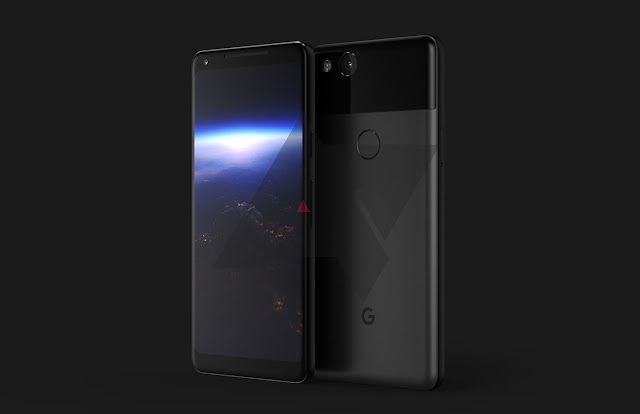 Like last year, Google's software package will be the big focus of the Pixels, with a new always-on display mode coming to Android along with Google Lens, a visual search app.